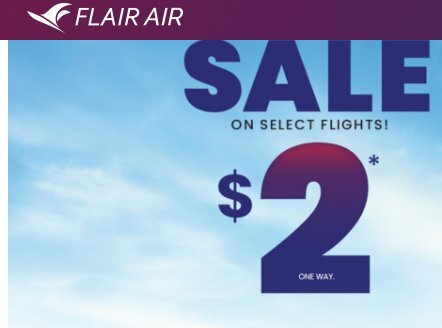 Flair Air is offering $2 base fares on certain routes, including for summer travel. 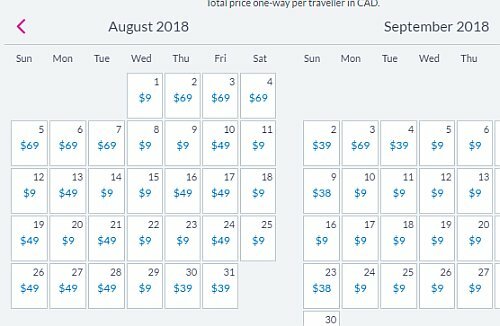 A $2 base fare may sound exciting for marketing purposes, but in reality, most of these prices are actually fairly close to the prices Flair Air has been offering in the past few days, when they were offering flights for $49 each way (after all taxes and fees). What they've really done is lowered the base fare going in one direction, and raised the price of the base fares coming home. The end result is that a roundtrip flight with a carry-on bag from Victoria to Edmonton (or vice versa) still works out to $167 roundtrip, which is about the same price they were offering yesterday, when the total price was $49 each way. 2. Search for a flight on one of the routes listed above.